I’m trying really hard to make sure I don’t read any spoilers about season 5. Last year while waiting for season 4 to begin it got the better of me and I thought I’d just read a few bits. One of those ‘bits’ was who the Oceanic Six were, although the spoilers I read said that Jin was one of the six, another ‘bit’ was that Aaron was off the island and being cared for by Kate who was treating him as her own. Both were things that I’d rather have found out by just watching. So since all we’ve got so far is the 40 seconds or so from the second half of the season 5 promo, I’m going to start theorising. Why? Because I can. Below are a selection of the more interesting shots from the promo, click each to view them full-size. Also I’d say that most of these are from the first couple of episodes since they’ve only shot the first half a dozen or so. First shot is the Dharma logo that flashes up a couple of time around the middle of the promo. Then there’s Locke on the ground with somebody pointing a gun at him. 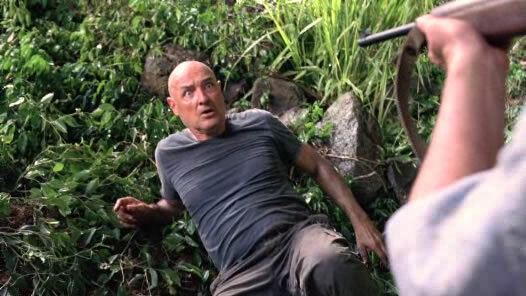 Locke certainly looks surprised, not sure who its is though, perhaps one of the Others, or perhaps someone else, we don’t know “when” the island is. Juliet looks like she’s discovered a hatch very similar to the Swan hatch that Locke and Boone found way back when. Since the Swan blew up, its probably not it, but another station. Or again it could be a case of “when” not “where”. Dan is in a cave, and he’s got a Dharma safety hat on. Could he possibly be underneath the Orchid station where the “donkey wheel” is/was. 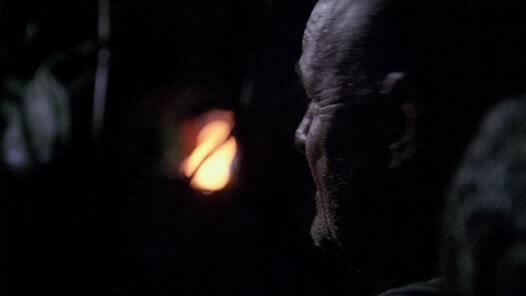 Locke, it either night or he’s inside, maybe being held captive by whoever was pointing that gun at him. 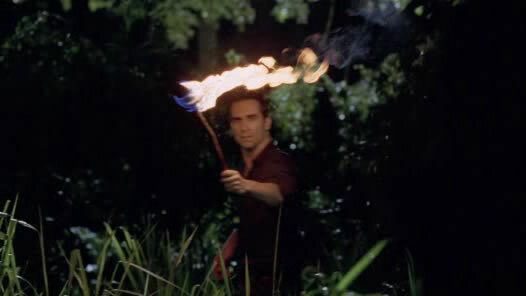 Alpert with a flaming torch, I hope we find out some more about Alpert and his apparent immortality. 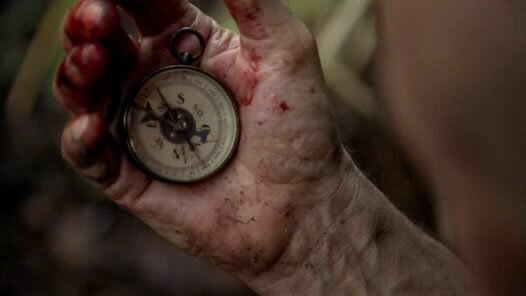 Someone with a compass, Locke had a compass at one point so it could be him, trying to find Jacob maybe. 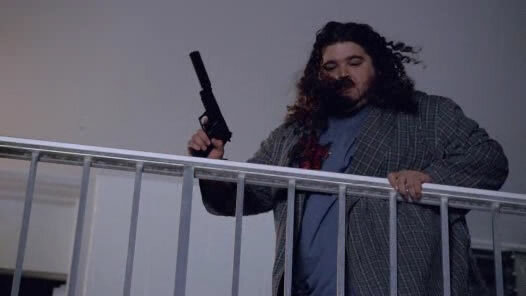 Hurley with a gun. After the madness that was ‘The Constant’ this episode doesn’t venture nearly as far, in fact its all set on the island, including the flashbacks. Juliet is sitting in a room, looks like she’s waiting for someone, a woman comes in and introduces herself as Harper. Juliet begins to explain that she doesn’t think that she needs therapy, Harper suggests that they just “call it talking” instead. We then find out Juliet has “been here a week” (at this point we still don’t know where “here” is exactly). Juliet tells Harper that she doesn’t really like being treated like a celebrity, or being the centre of attention. There’s a knock at the door, and its Tom, we now know that we are on the island. This interruption ends their “talk” and as Harper leaves she says “Welcome to the island”. Tom takes Juliet to meet with Ben who is waiting outside one of the houses in the other’s village. Ben tells Juliet that it’s hers. She tells Ben that they shouldn’t have gone to all the trouble as she’s only going to be there for 6 months. Current time, back on the beach and Juliet is setting up her shelter, Sun offers to lend a hand, then Jack approaches asking if they’ve seen Charlotte and Dan as they are both missing and their stuff is gone. Jin says that he saw them head off into the jungle. The four of them set off to try and track down Charlotte and Dan. Once in the jungle Juliet begins to hear the whispers, and when she turns around Harper is standing behind her. Harper says “long time no see”, and tells Juliet that she’s there to deliver a message from Ben. 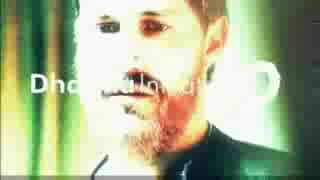 Update: The promo has now been posted on ABC.com so I’ve updated the video to the full quality version. Much nicer. Might even screen-cap some of the interesting bits later if I’ve got time. 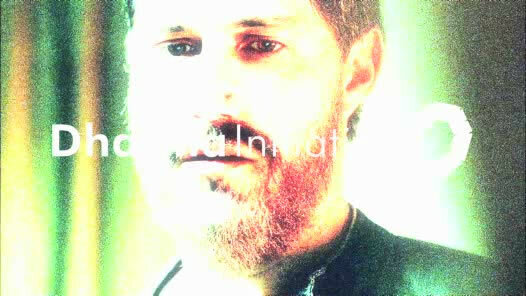 It may still be about 3 months away but we’ve now had our first peak at season 5 of Lost. The first half is your typical overall summary of what has happened so far sort of thing, and then the second half contains some (very, very brief) snippets from season 5. Around half way, during the scene with Jack and Ben, you might have noticed the screen flashes a couple of times. If you pause it (quite hard to do with the flash video) its actually a Dharma Initiative logo on the screen. This is what is shown. So what does it show from season 5? It looks like Juliet discovers the swan station, or perhaps uncovers another Dharma station. 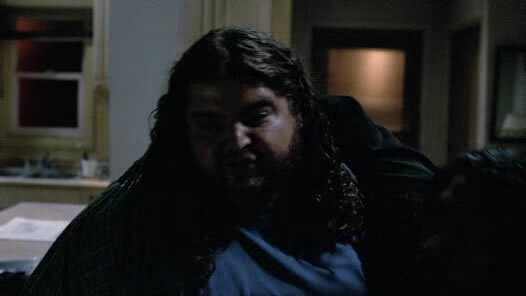 Sayid mentions a safe house, Hurley has a gun, Sayid is beating some dude up, and then Hurley is helping Sayid out, he says they “never should have left that island”. Sun appears to be locked in an interview room of some description. Kates packing her bags…and her gun, and she tells Aaron that they are going on vacation. Jack says that everyone they left behind would die too if he didn’t go back. Ben says “thank God for second chances”. Lost the movie? Maybe not. 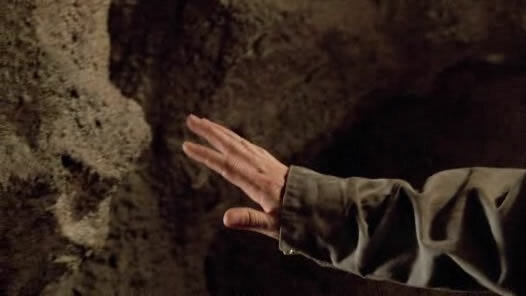 “You never say never but what we are saying is that when the final episode of ‘Lost’ airs, that will be very conclusive. There will not be a question mark of the end of the words ‘THE END.’” - Damon Lindelof. Click here. JJ Abrams says he thinks it could be possible, pilule unhealthy but his gut says that it would never happen. Click here. So I neglected posting about the seventh and final test from a few weeks ago, but since several people have arrived at this site looking for the info I thought I should oblige and post it. The test was titled the “Honesty and Integrity Test”, and in reality it wasn’t a test at all. As those following along with the previous tests probably know there were a number of “cheats” revealed to make solving the tests easier. So… Its only taken about 6 months to get back to finishing this post, it was going to be tough to get it to make sense to begin with, but with a huge break in the middle of writing it it was even harder, sorry about that. Lets get on with it. Des flashes back…then forward…repeat. Flashback? no, not really. 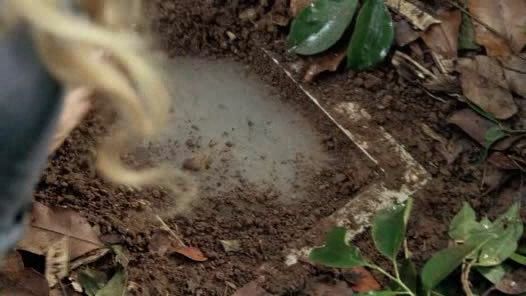 Remember the episode ‘flashes before your eyes’ from last season, kind of like that only way better. The episode picks up where we left Sayid and Des a couple of episodes back, they are on the helicopter and heading towards the freighter. Des is looking at the photo of him with Penny. Frank is looking at a map that Daniel drew for him, which he was told to follow very closely. Struggling to control the chopper Frank flies straight into what Sayid calls a “thunderhead”… we’ll call it a storm. Des awakes, all clean shaven, and at an Army barracks. He says that he was having a dream, and that he was on a helicopter, and he was in a storm… hang on a second. We snap back to the chopper, and Des is freaking out, he’s got no idea where he is, what he’s doing, or who on earth Sayid is. Who was the old woman Ben was talking to? It was Ms Hawking, who we’d seen previously in “Flashes before your eyes” and it appears that she has her very own personal Dharma station in the depths below a church, where she’s using this big magnetic pendulum thing, an ancient computer (like in the Swan), and a bunch of complex mathematical equations to help Ben get those that left back to the island. When does Charlotte find the polar bear? Charlotte finds out about the discovery of the Flight 815 wreckage while in Tunisia (where the polar bear was found). Based on the timeline of events on the island, rx and the Find 815 ARG the wreckage was found approximately in early December 2004. Why was there a Dharma polar bear in Tunisia, and and why did Charlotte seem to recognise the Dharma logo? Both are questions for another time.